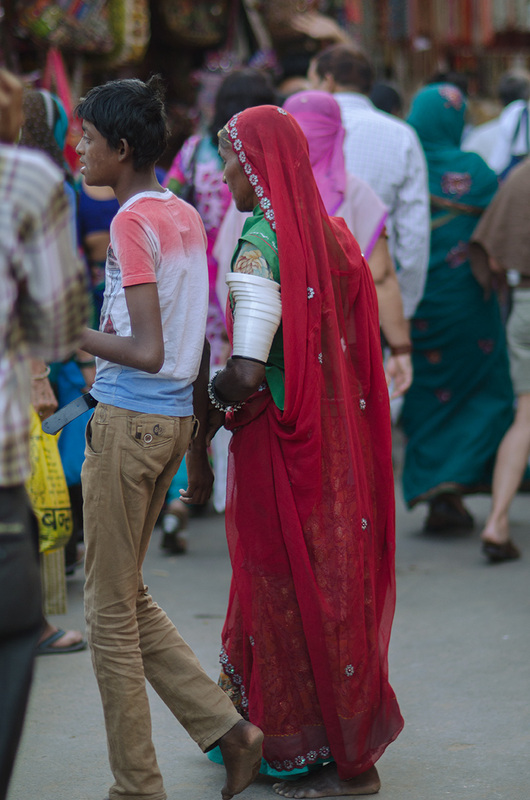 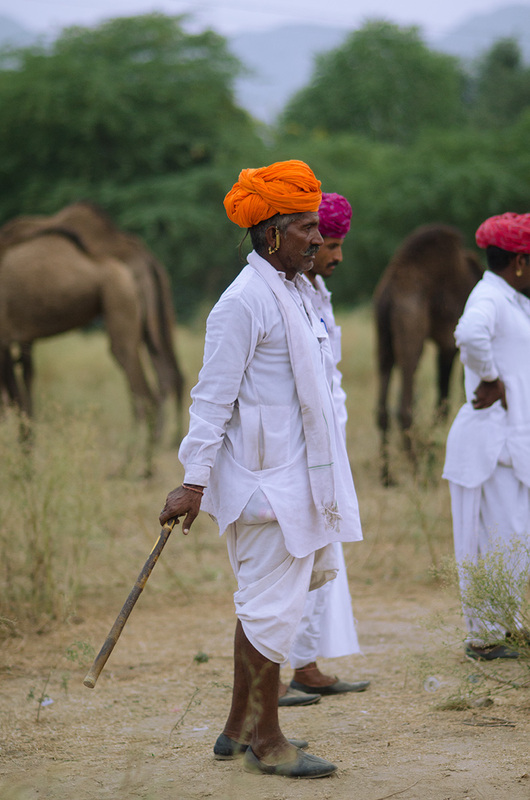 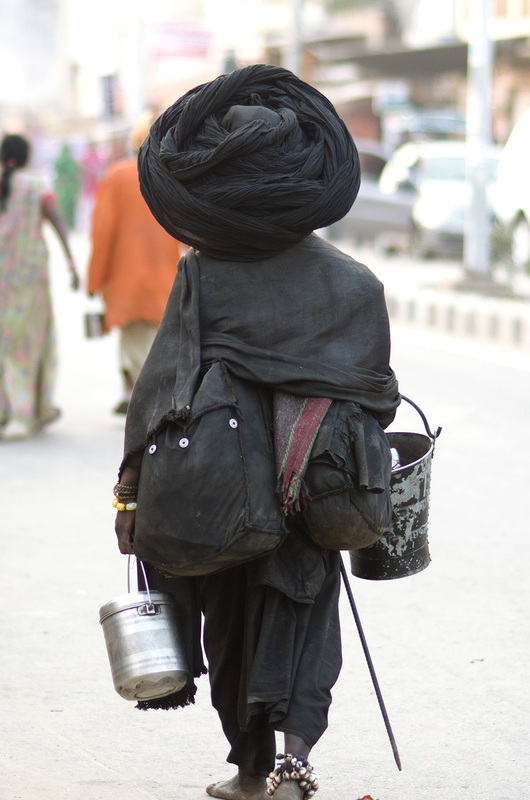 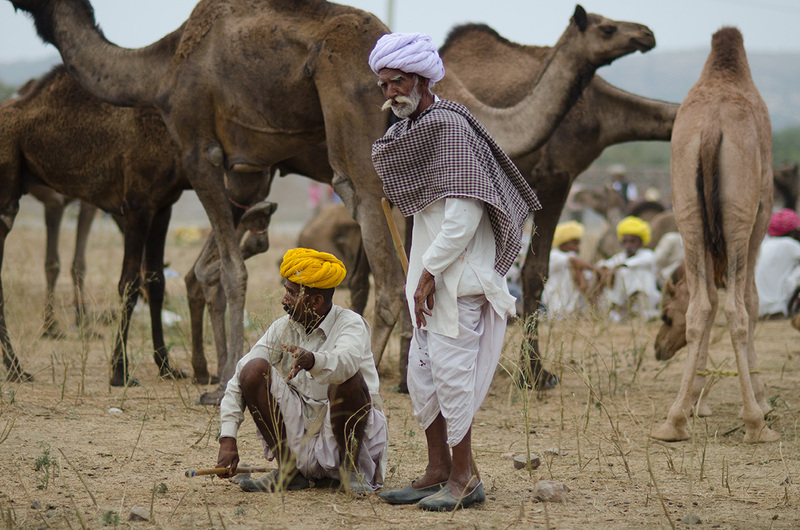 Camel traders(sellers) from Jalore, Rajasthan. 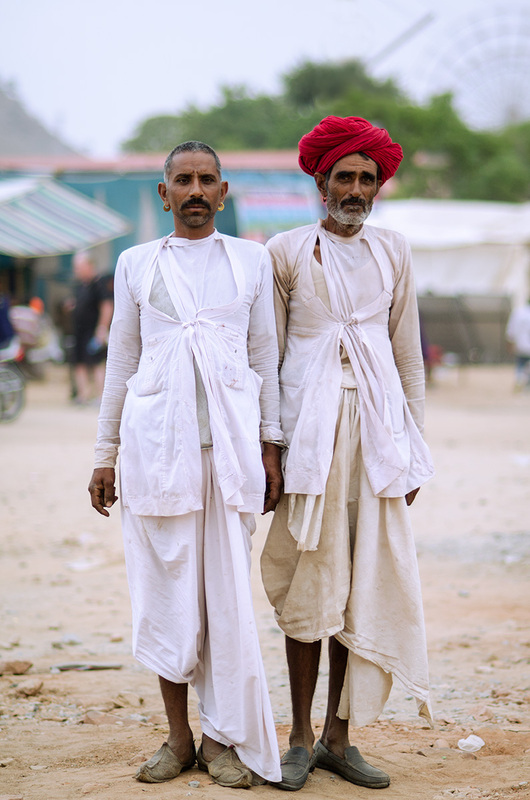 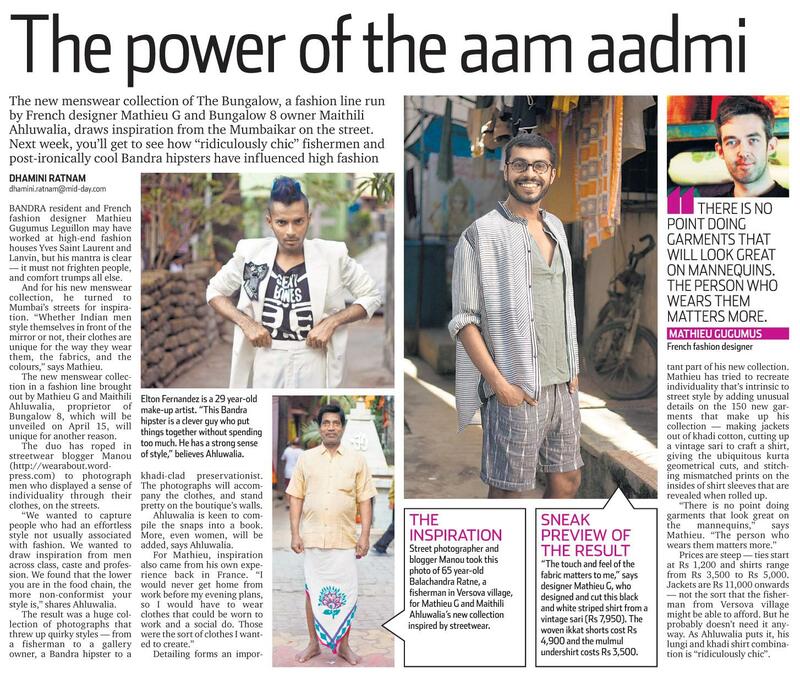 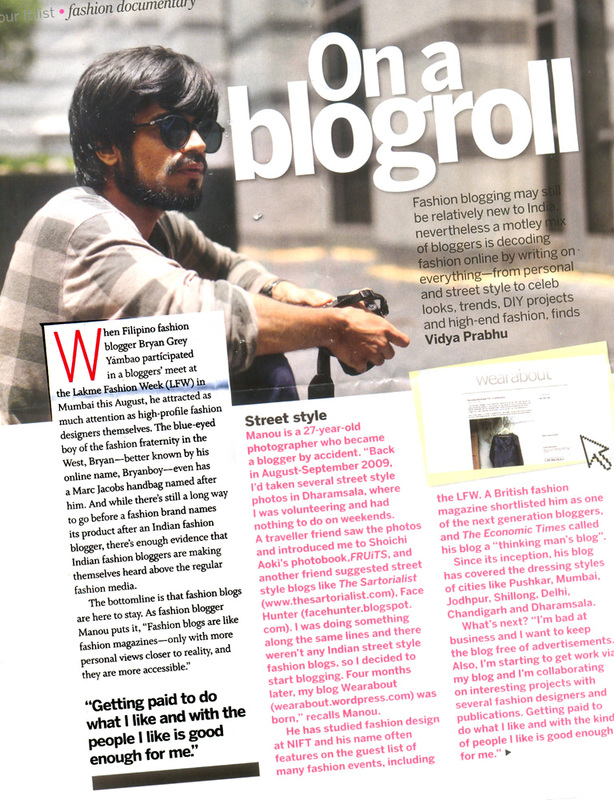 Wearing traditional waist length angrakhas. 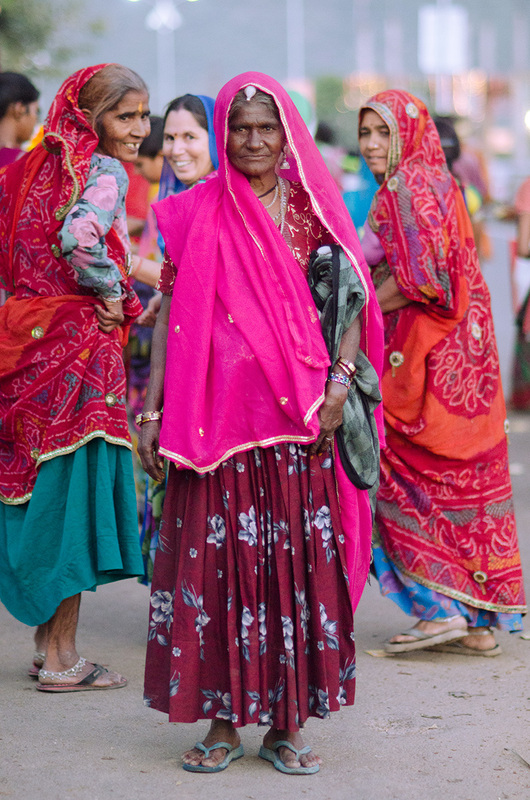 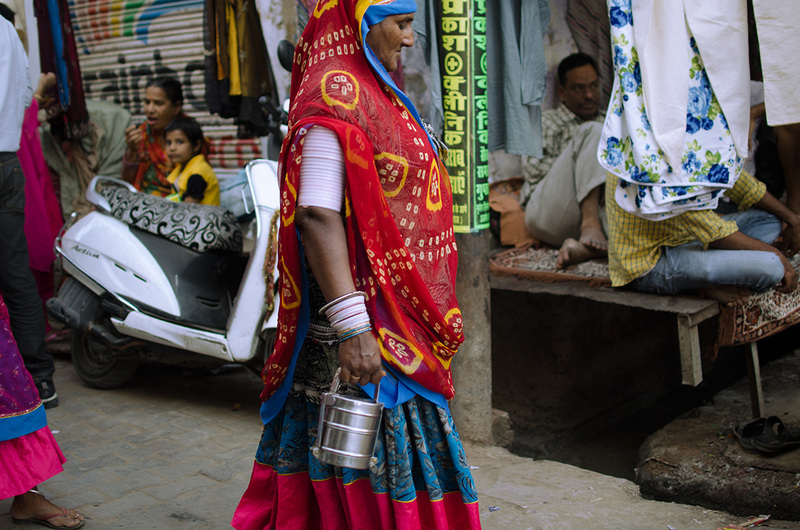 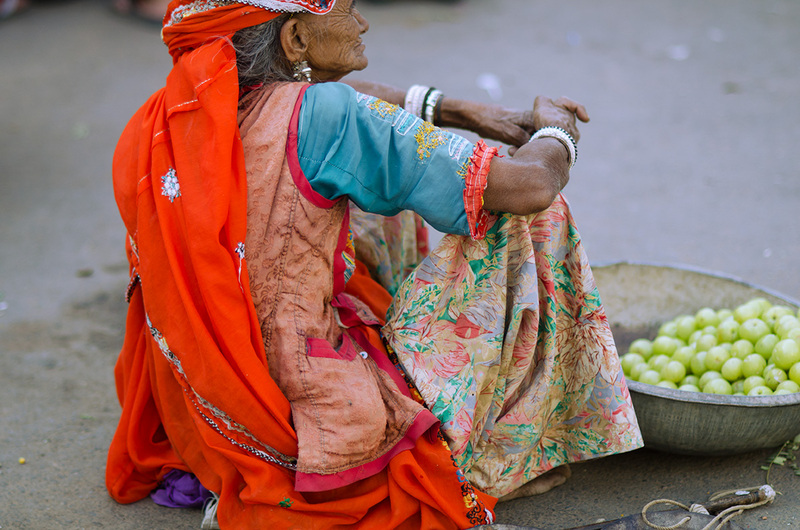 Old lady in Pushkar town selling amla. 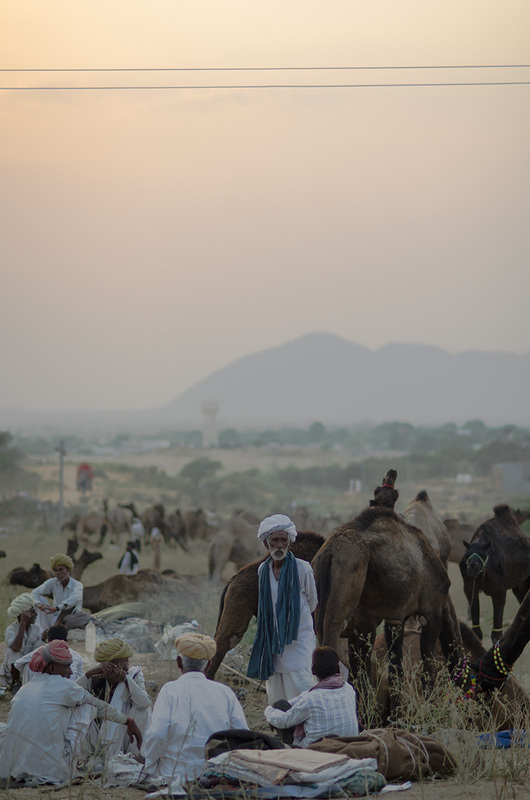 Camel traders at the annual cattle fair in Pushkar, Rajasthan. 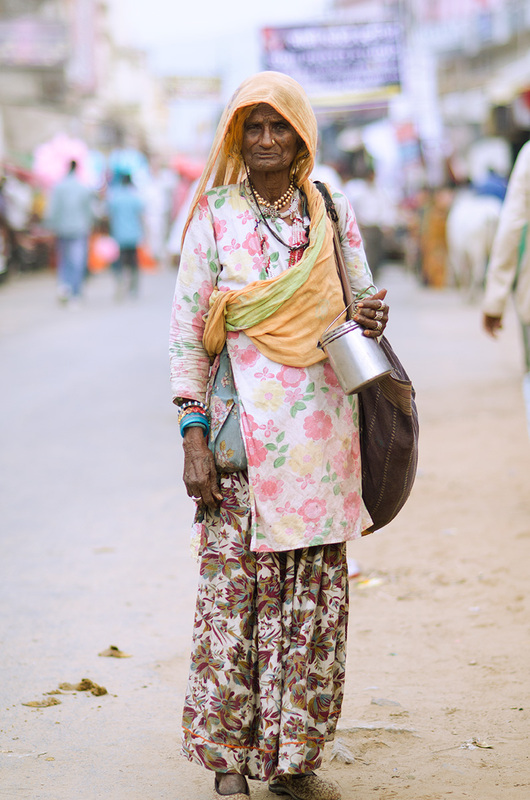 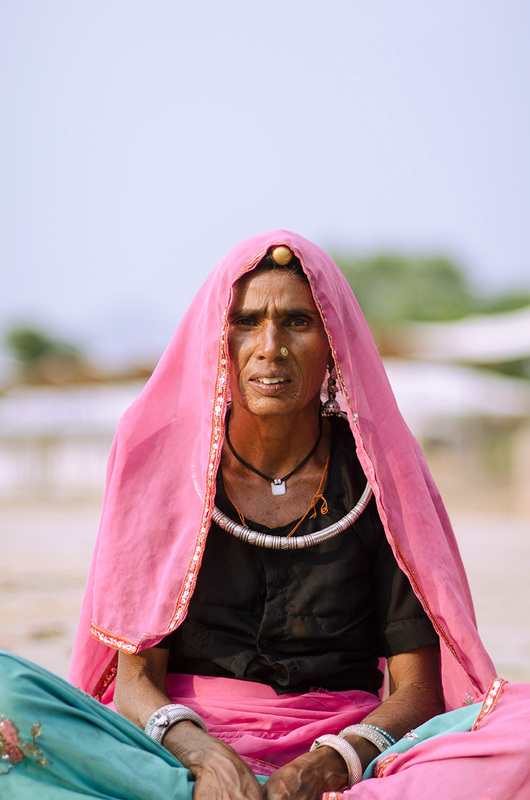 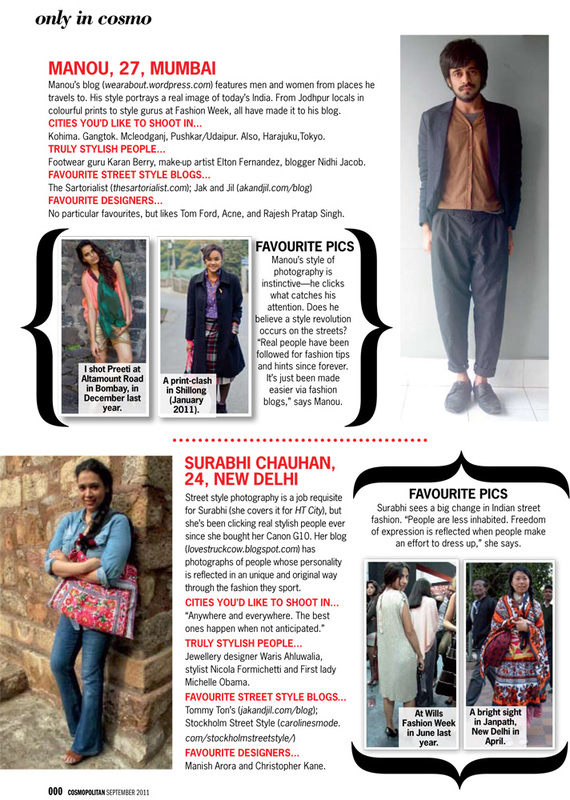 Padma, 34. 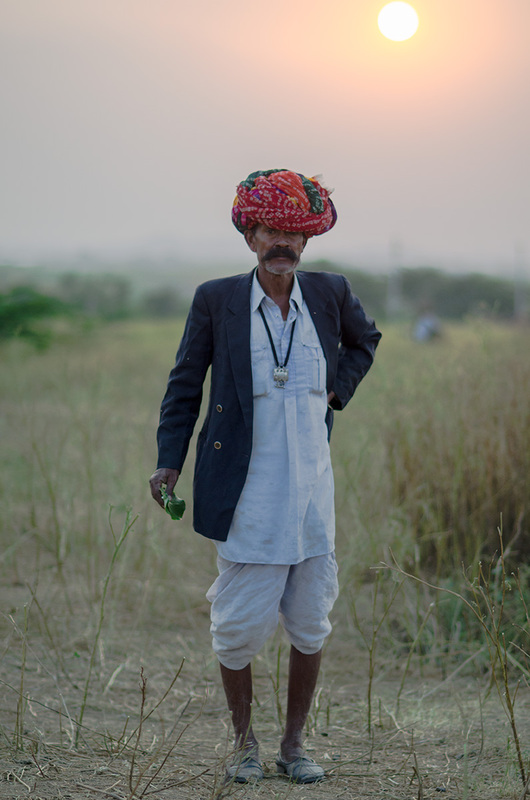 Wearing traditional ‘Rajasthani’ jewellery. 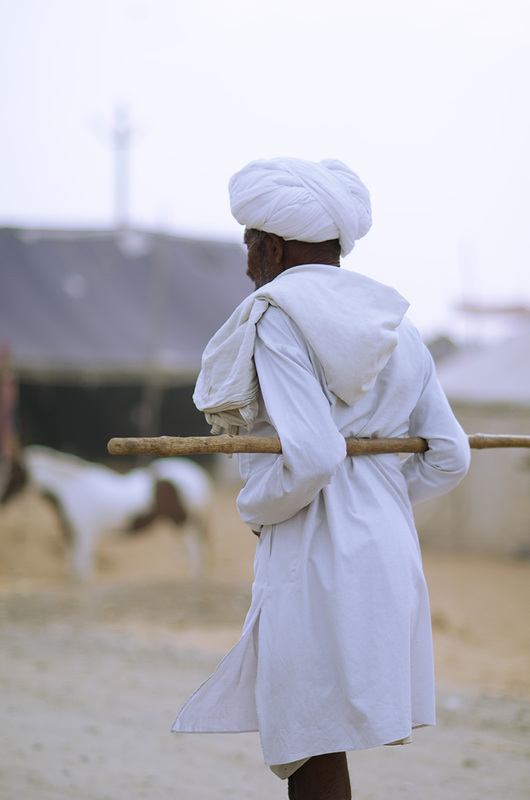 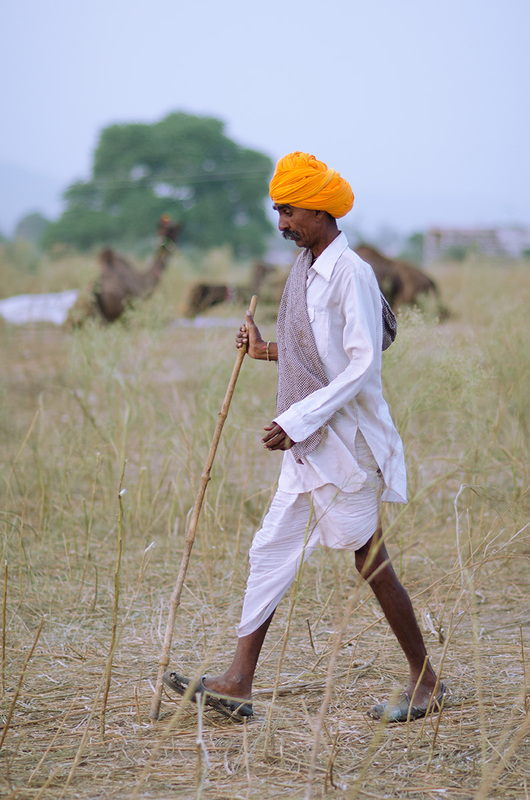 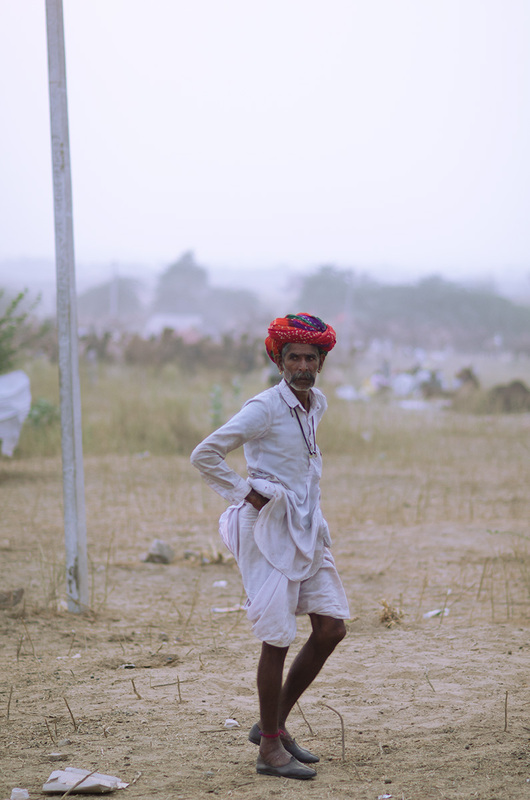 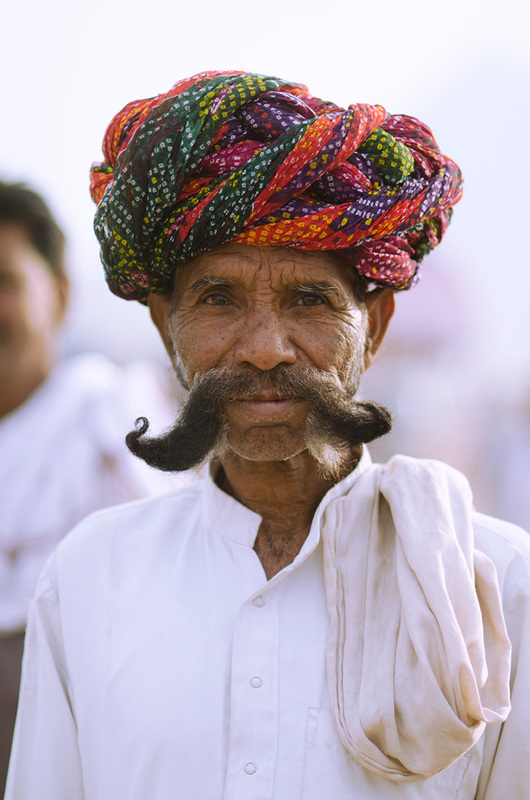 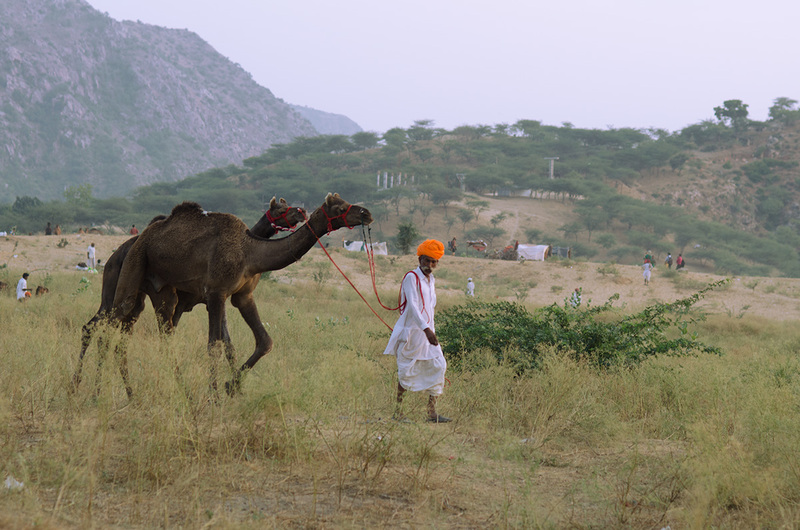 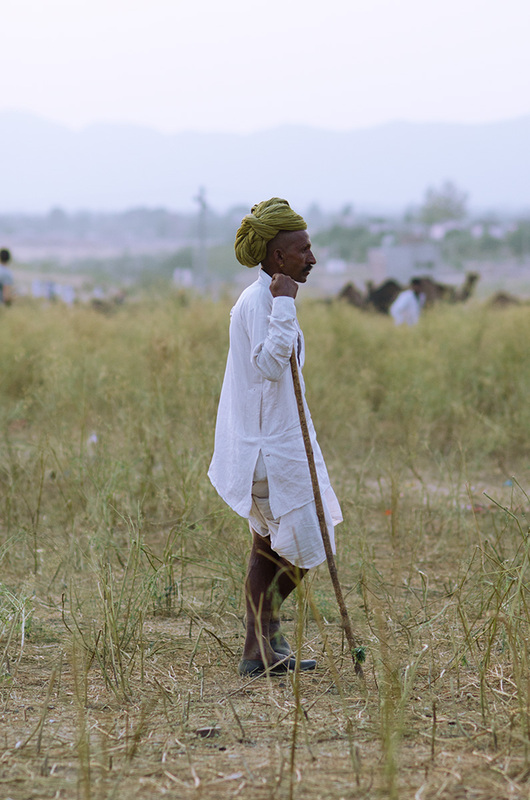 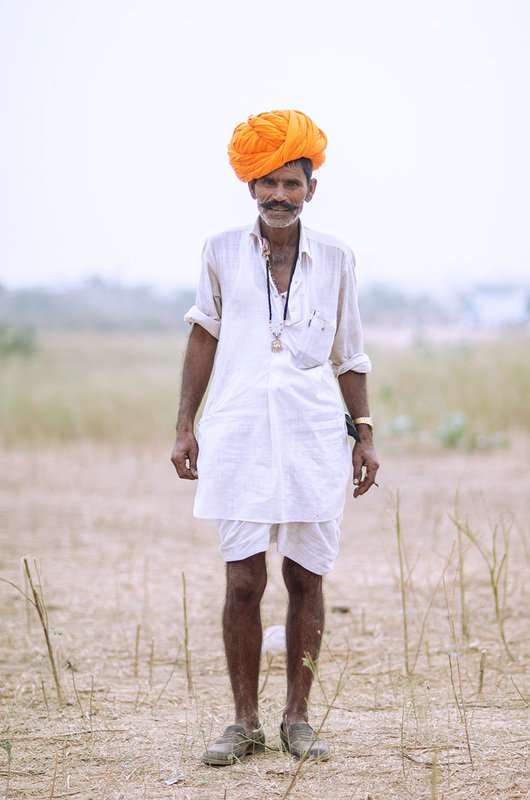 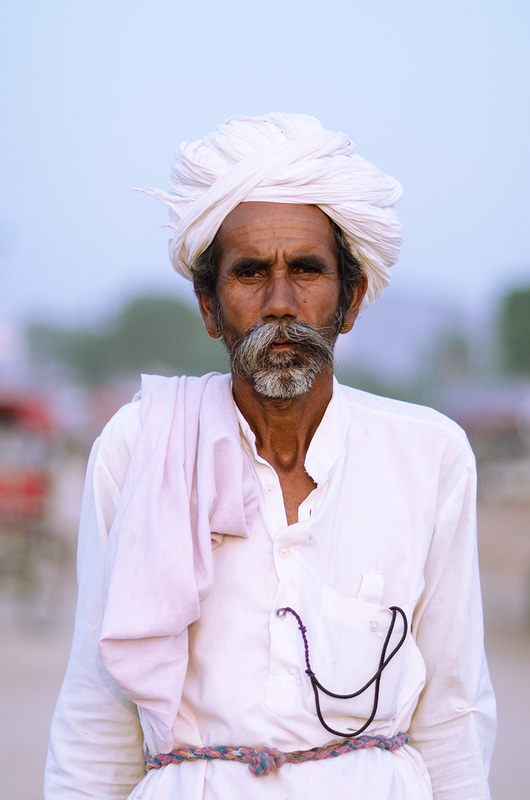 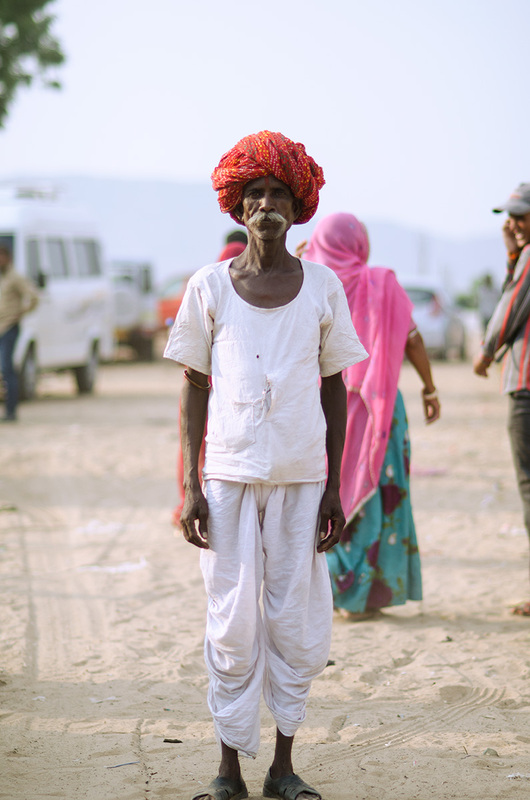 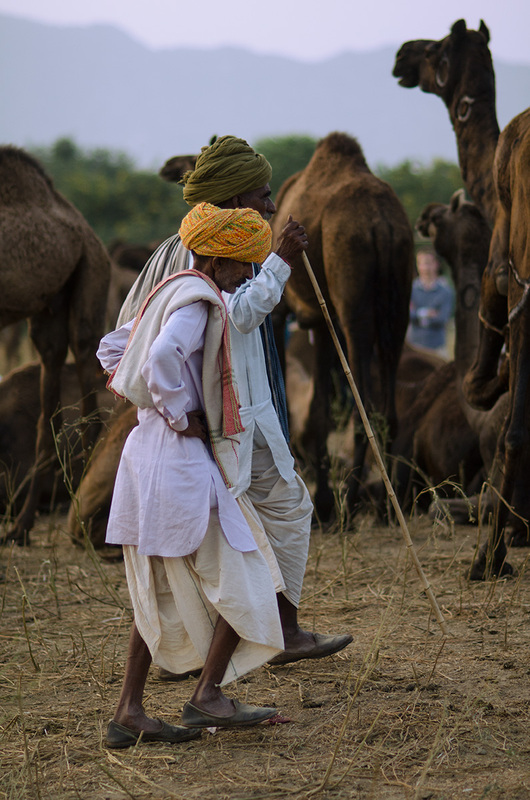 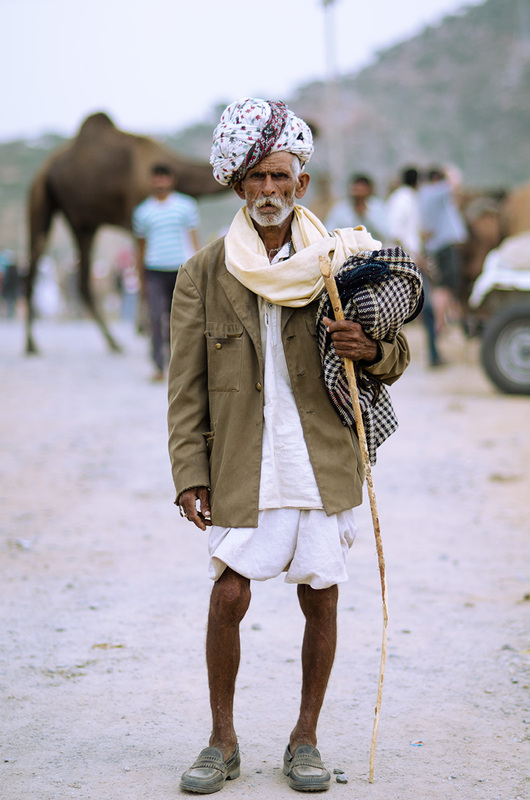 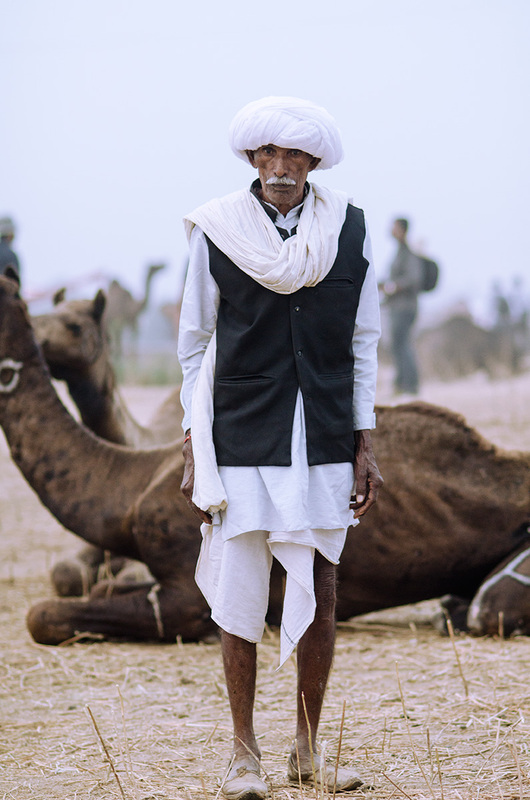 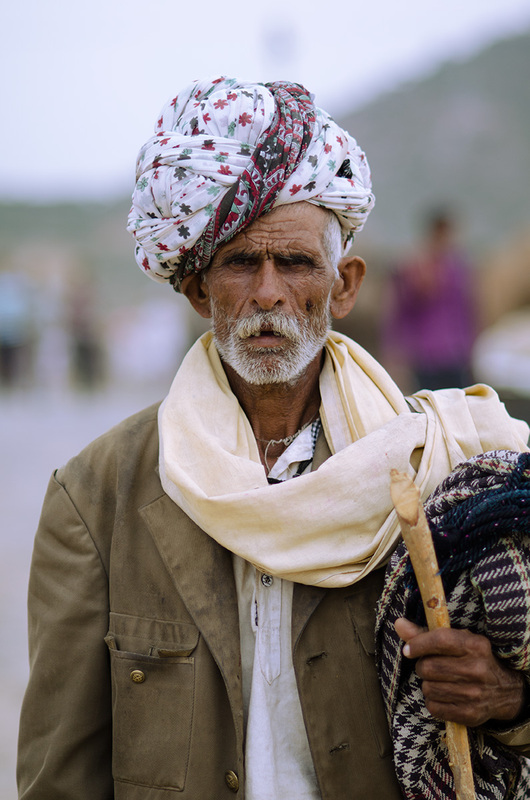 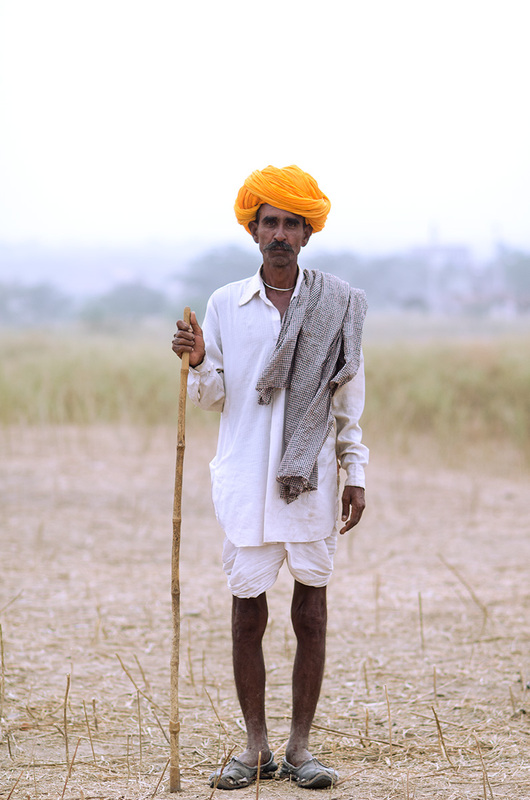 Man looking after camels at the Pushkar Cattle Fair.